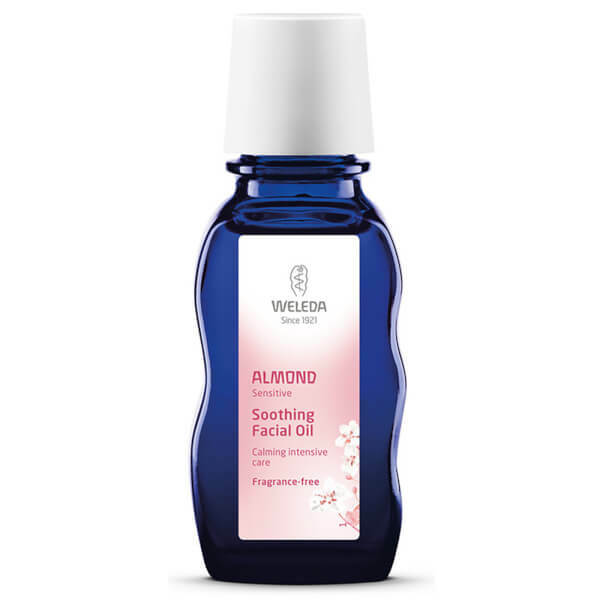 Weleda Almond Soothing Facial Oil is made up of an all-natural blend of ingredients which makes it perfect for taking care of delicate facial skin. This nourishing oil can be used at night, or for cleansing and works to protect your skin throughout the day. Protective sweet almond oil, plum oil and soothing blackthorn work in delicate harmony with extracts of chamomile and calendula flowers to calm sensitive skin and to regenerate extremely dry skin during the night-time rebuilding phase. Weleda Almond Soothing Facial Oil not only relaxes and smoothes the skin, but can also gently remove your make-up leaving your skin feeling refreshed and calm. Spread several drops in the hand and then apply gently to cleansed, moist skin. To remove eye make-up apply a few drops to a moist cotton wool pad and gently stroke over the eye area. To regenerate extremely dry skin during the night, gently massage a small amount into the skin using the fingertips. This is particularly effective on sensitive skin areas which are prone to development of wrinkles such as eye lids, neck and chest.